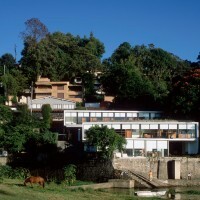 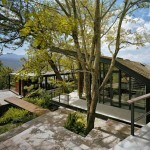 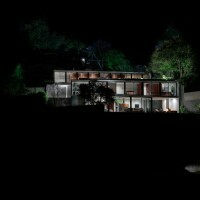 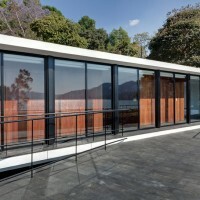 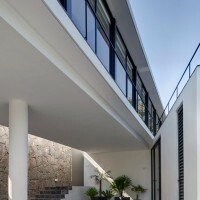 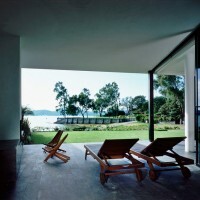 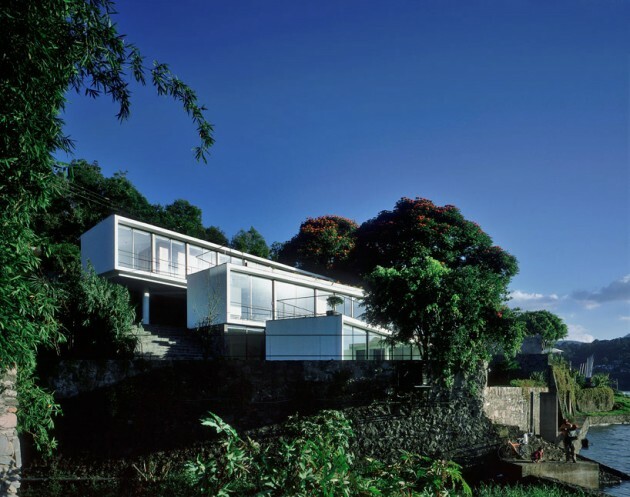 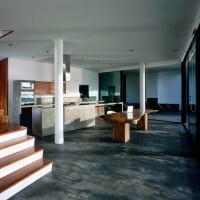 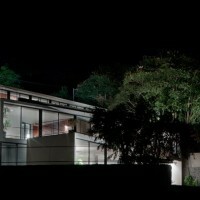 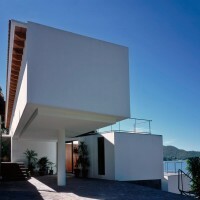 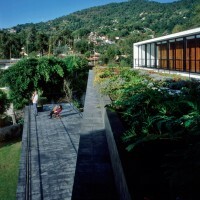 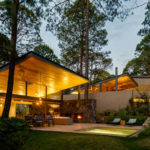 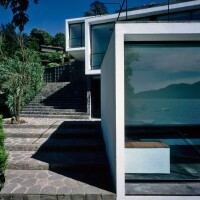 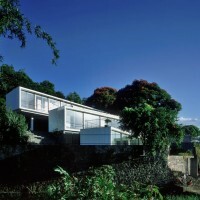 Productora have completed the Casa Diaz in Valle de Bravo, Mexico. 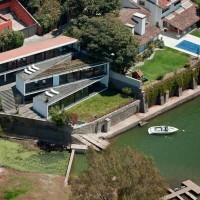 This property adjoins a large lake in a small town situated a few hours from Mexico City. 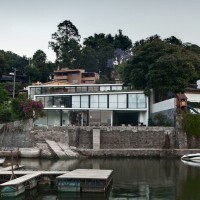 To take full advantage of the relationship with the surroundings, a system of elongated rectangular volumes was used, with one side of each completely open toward the lake. 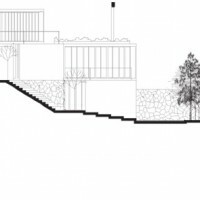 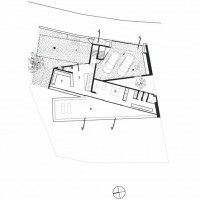 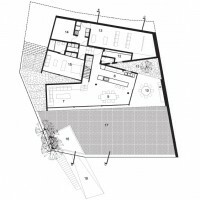 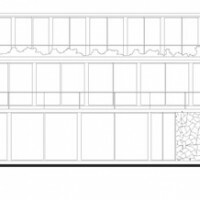 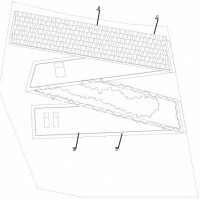 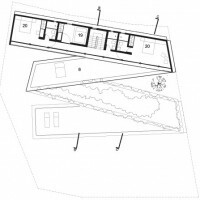 The sloping plot and the amount of surface to be realized led to the creation of three volume stacked in a zigzag pattern, generating spacious open terraces and irregular, sheltered patios between them. 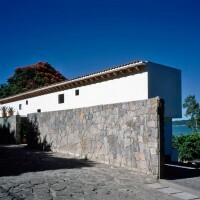 From the street, the residence looks like a traditional construction; the use of roof tiles, wood, natural stone, and the plastered facade with small openings, grants it the regional character that is required by urban planning requirements. 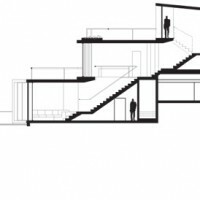 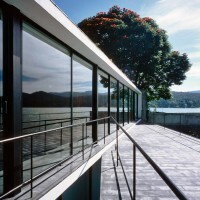 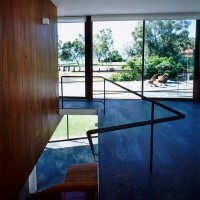 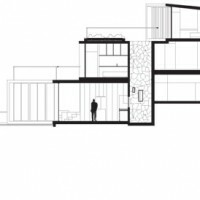 From the lake, the home becomes a composition of rectangular elements with large glass surfaces; like a series of typical modernist volumes, stacked in a dynamic configuration. 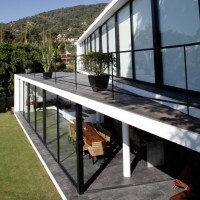 Visit the Productora website – here.